Starbound coming to Windows 10 and Xbox One via Game Preview! 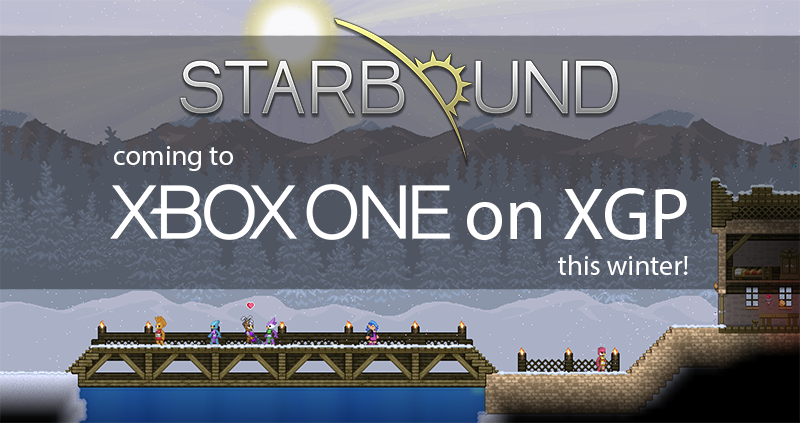 We’re super excited to announce that Xbox One owners will be able to play Starbound on console via Xbox One Game Preview for the very first time! Game Preview on Xbox One is a new way for fans to purchase work-in-progress digital titles and participate in the development process by giving feedback to developers as they continue to update their games. Starbound has benefited massively from the community’s feedback since we launched on Steam Early Access, with so many of you helping our little team squash bugs and create an overall better sandbox game (thank you! <3). We believe Game Preview provides the best opportunity for us to make Starbound an amazing experience for console gamers as well. ← 3rd August – Fairytale Cottage!